We haven't written a Ranked! list in awhile, so this week we thought we'd rank the 10 Most Metal Car Dealerships in North Carolina. We soon discovered there was one that was so head and shoulders above the rest, it deserved all ten spots to itself. Hands down, the Most Metal Car Dealership in North Carolina is Peters Auto Mall. Well, for starters, it has human foosball. 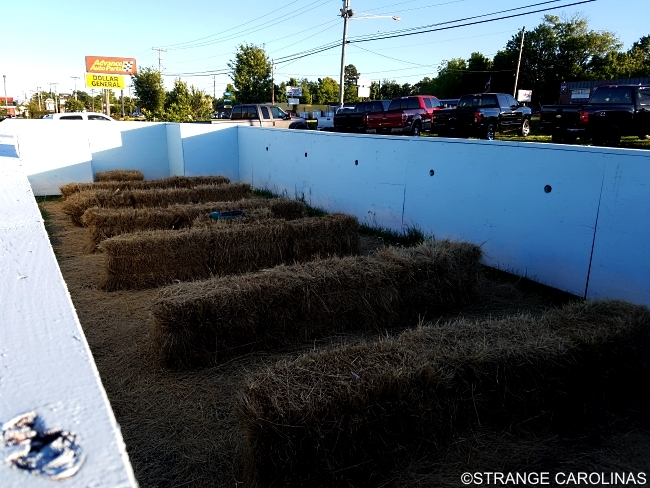 When the weather turns warmer, they have events where people can play human foosball in a giant wooden box. The human foosball would almost be enough to earn Peters Auto Mall the title of the Most Metal Car Dealership in North Carolina, but their logo is what clinches it. Seriously, doesn't this logo remind you of classic logos from bands like Iron Maiden, Anthrax, Def Leppard, Kiss, Twisted Sister, Megadeth, and more? Rock on, Peters Auto Mall!